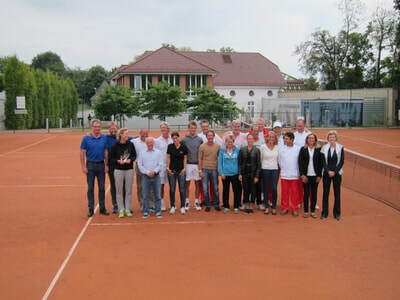 IC of Switzerland was particularly happy to welcome Monaco (Men's competition) and Belgium (Ladies) at the Tennis Club of Geneva last September as the friendship relations between our Clubs dates back of many years. 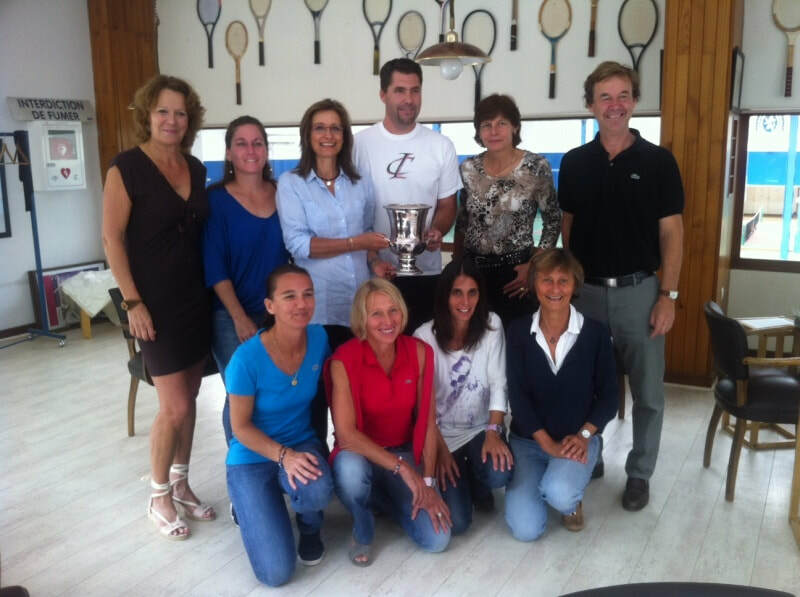 A special thanks to the Ladies' team who was particularly strong for this competition with Christelle Fauche, Elena Bergomi, Claudine Ferralli, Virginia Gollut and Susana Villaverde. 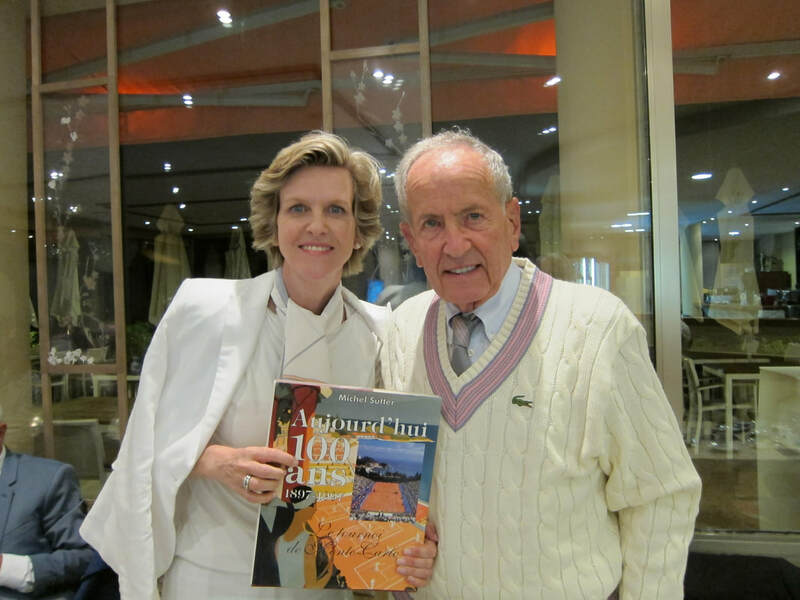 Our Club received many wonderful gifts during the evening dinner from IC Belgium and Monaco. 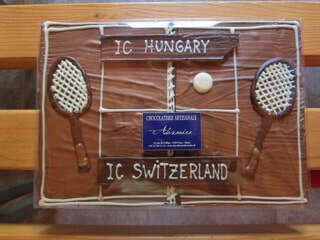 In early Spring, IC of Switzerland was invited to Budapest for an IC-Swiss-IC competition. 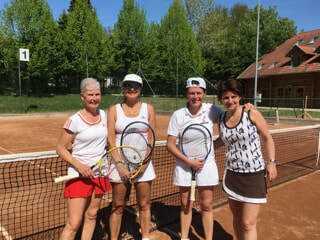 Susana Villaverde, Patricia Operto, Pia Frey and Andràs Szcoecsik had a great opportunity to practice outside on clay court at the beginning of the outdoor season. The matches were tight and the final score was 5:5 due to some players injured. 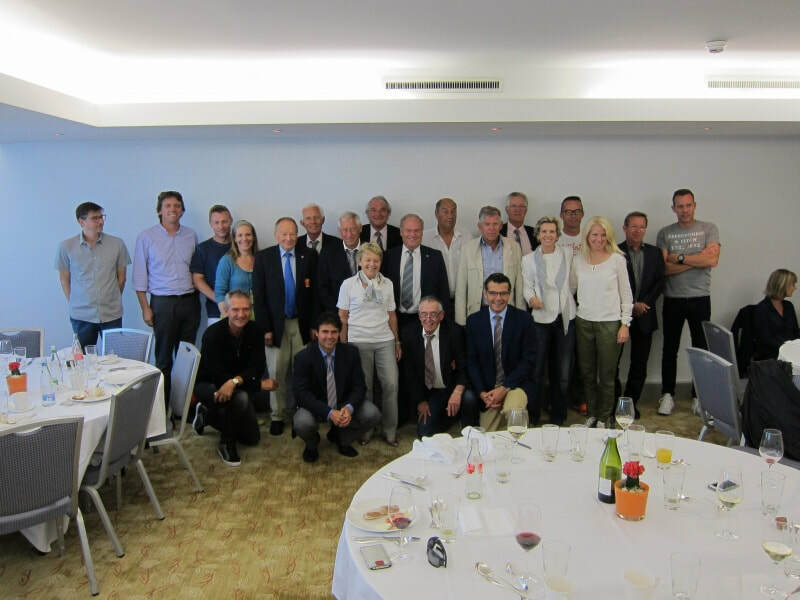 The matches were followed by a nice visit of Budapest and an official dinner. ​Switzerland welcomed the German IC to the TC Grasshoppers in Zurich with great pleasure. 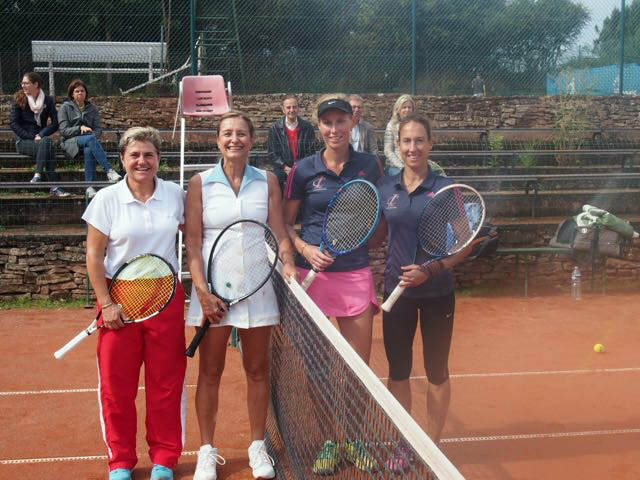 Among our players/players, we were able to count on some very good rackets: P. Frey, S. Burggraf, M. Paroubek and S. Wikers in the women's category. R. Spitzer, J. Coebergh, H-P Girod, P. Loepfe, H-U Blass and Peter Heller represented our country. After the sports events, an aperitif followed by the official dinner took place in a good mood. Many thanks to Hansueli Blass, our captain, for the excellent organization of the event. The final victory went to Germany with a score of 15-25. Our IC team was graciously invited to Luxembourg to participate in the 3 Nations meeting on 17 and 18 September 2016 with the ICs of Belgium and Luxembourg. The Men's team won the trophy while the Ladies defended themselves with honor against experienced players. 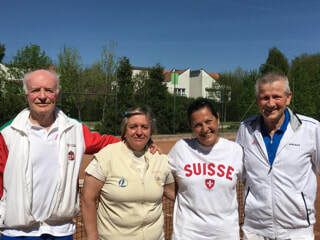 IC Swiss Team : Ladies - Sandra Hopfner, Susana Villaverde, Captain Michèle MIévile-Blondel / Gentlemen - Sandro Della Piana, Thierry Grin, Moores DuBruyn, Henri DeWet, Captain Thierry Grin. 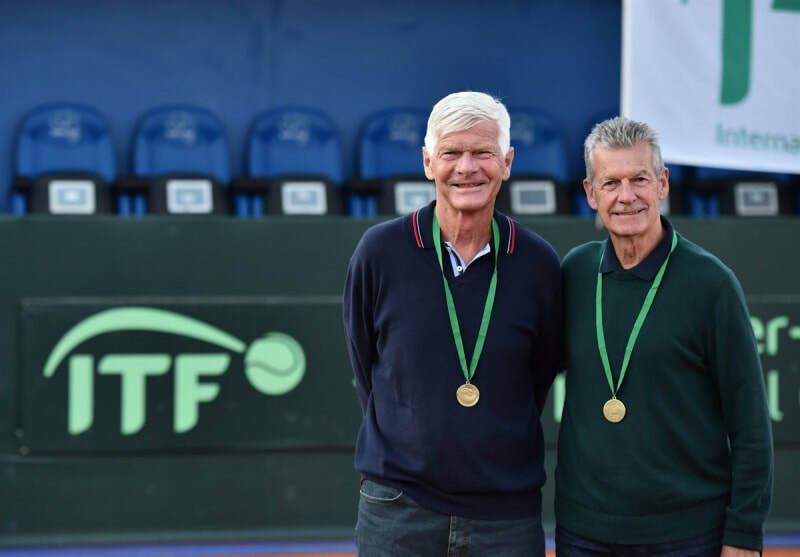 ​The ITF Senior World Championships took place mid-September in Umag, Croatia. 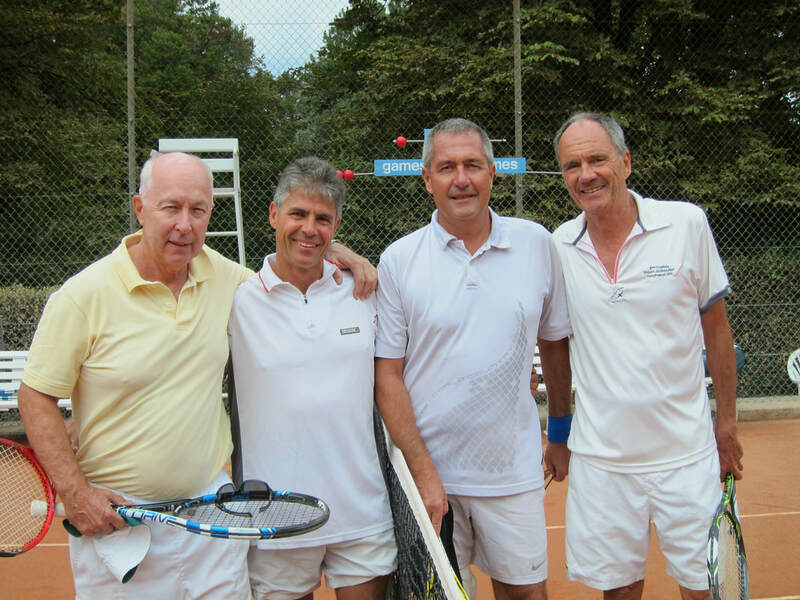 Petr Kolacek and René Bortolani, our long-time IC members won the title in the +70 double category. Congratulations to Petr and René for this wonderful victory! Our Club is so proud! Petr, who was defending his title in singles, lost in the final, which nevertheless remains a great result. 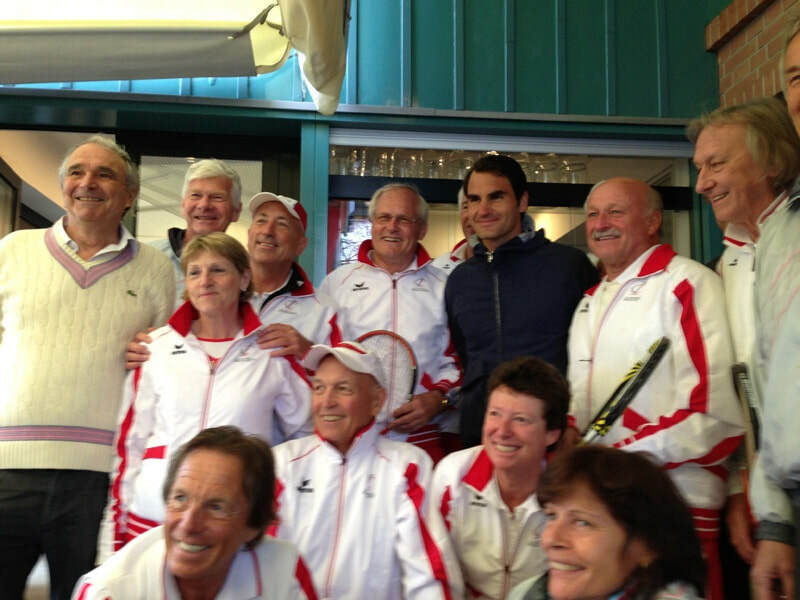 About thirty IC Switzerland members met for a Brunch during the Davis Cup semi-final in Geneva and could celebrate the victory of the Swiss team (with Federer and Wawrinka) defeating Italy. René Stammbach, President of Swiss Tennis, Heinz Grimm, former ITF President and Marco Gilardelli, President of the IC of Italy, honored us with their presence as well as several former Davis Cup players such as Heinz Günthardt, Michel Burgener, Filippo Veglio, Martin Froesch, Mathias Werren and Bruno Spielmann among others. Am Wochenende vom 27.-28.4.2013 durften wir vom „Tennis Club International de Suisse“ die imposante Tennisanlage vom Grasshopper Club und während 3 Stunden wetterbedingt sogar die Tennishalle benutzen. Dies alles unter Führung und Organisation unseres Komitee-Mitgliedes Hansueli Blass. 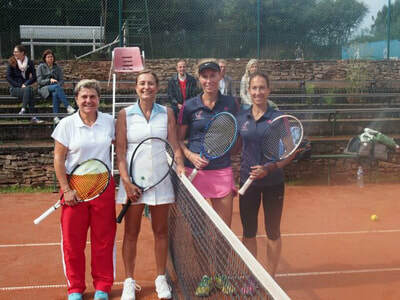 Bei unserer Begegnung zwischen den Altinternationalen der Schweiz und Österreich war es natürlich eine Freude, dass die Damen Yvette Fischli und Patricia Operto, aber auch eine Anzahl von Spielern aus dem Grasshopper-Club (Jan Coebergh, Patrick Loepfe, Rolf Spitzer, Andras Szöcsik, Hansueli Blass) sowie Petr Kolacek als amtierender Weltmeister bei Seniors 65+ und Bruno Spielmann als Ex-Daviscup-Spieler zum Einsatz kamen. Die spielerische Wertung fiel knapp mit 143 : 141 Punkten (Anzahl gewonnene Games) zugunsten der Schweiz aus. 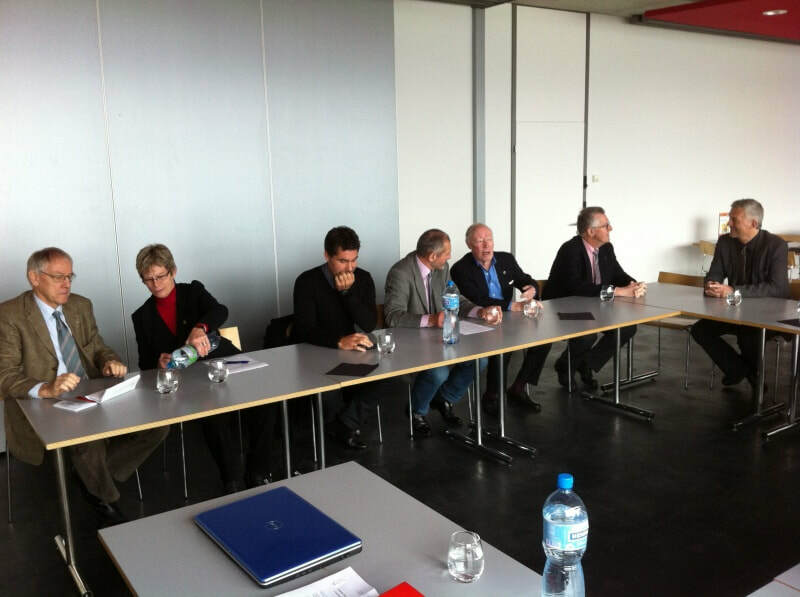 ​​The Club's General Assembly took place on Saturday 23 February in Biel at the National Swiss Tennis Center with the presence of Honorary members and delegates of Swiss Tennis. The Club was positively represented by many different age categories. The reports of the President and the members of the Committee were unanimously approved, as well as some new membership proposals. A nice lunch was offered in the main hall. 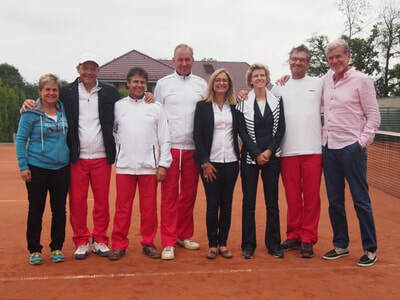 ​On 27 and 28 September 2012, the IC of France welcomed us to Lyon for a friendly match in honour of Jacqueline Kermina, a Cup according to the formula "2 players aged 45+ and 2 players aged 55+". 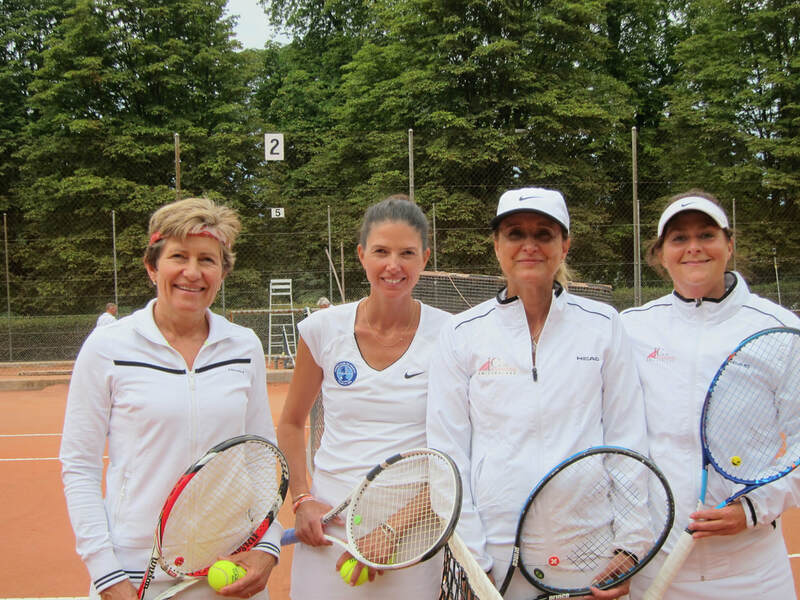 Natalie Tschan, Cathy Feldbausch, Susana Villaverde and Yvette Fischli represented our Club.